Spring will be coming to us soon here in Osaka. And of course, one of the best parts of spring in Osaka is the cherry blossoms! How about enjoying a lovely cherry blossom picnic (known as hanami) here in Osaka like the locals? 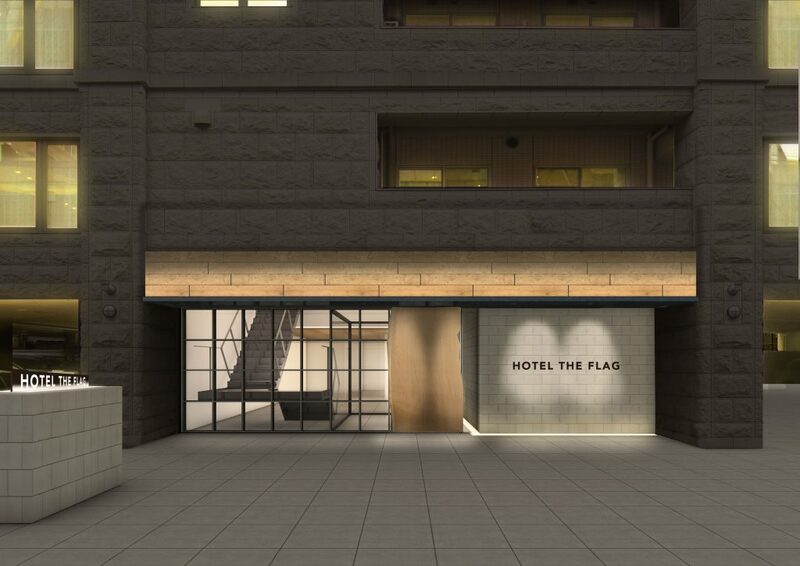 Let us at HOTEL THE FLAG introduce some great hanami spots in the area! 2018’s cherry blossoms will be in full bloom from the end of March to start of April! The start of the cherry blossom season in Osaka this year is March 28th. We are predicting full bloom on the 4th of April! 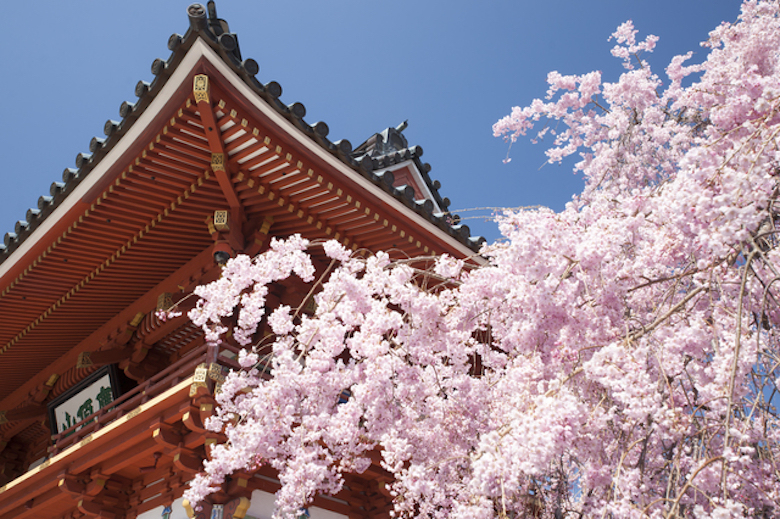 Enjoy your spring break surrounded by beautiful flowers in Osaka. 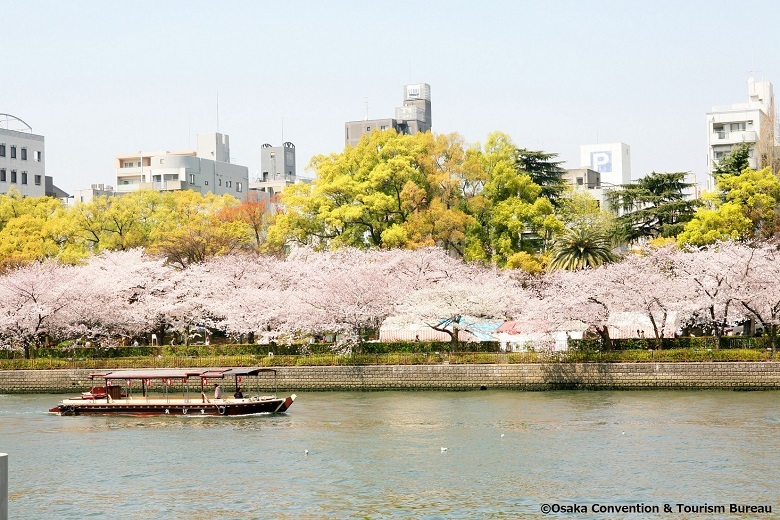 The most famous tourist destination in Osaka is also a beautiful place to enjoy hanami! 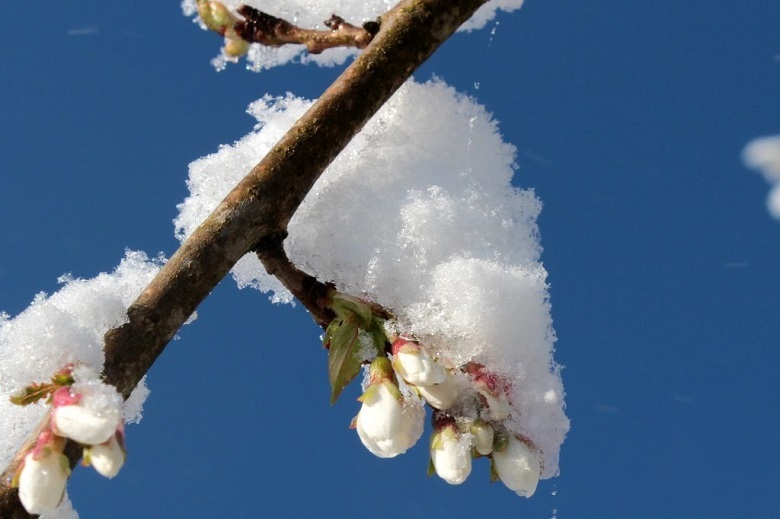 There are over 1,200 plum trees spread over the grounds surrounding 300 Yoshino Cherry trees. Relaxing and gazing at the flowers with the beautiful castle in the background is a popular past time for visitors and locals alike. 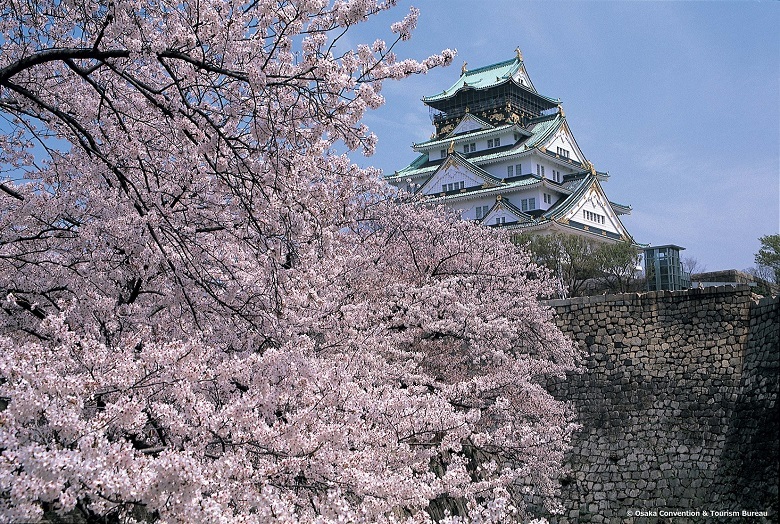 The approximately 400 year-old Osaka castle always looks regal surrounded by the beautiful flowers. The West Circle Park is especially gorgeous with the mix of cherry and plum blossoms! 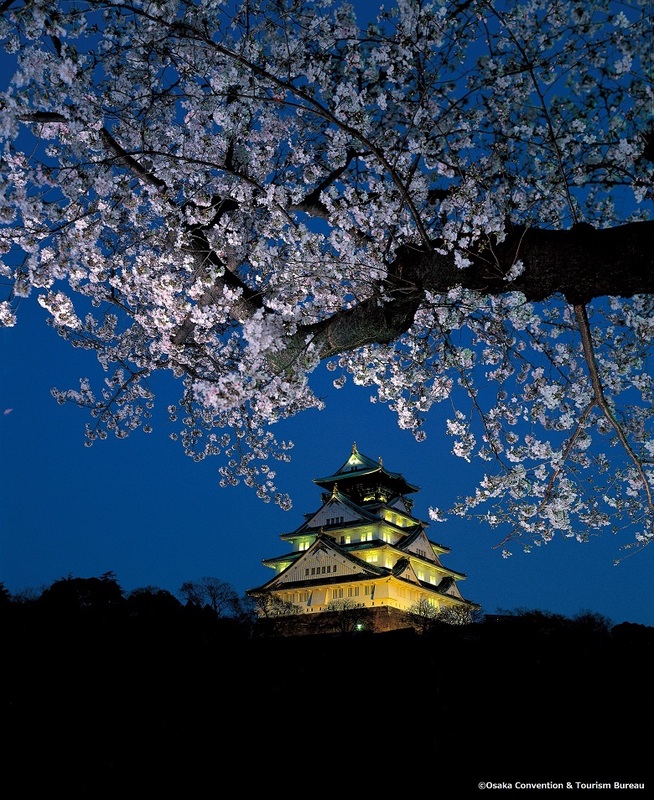 You can also enjoy Osaka castle’s special illumination every cherry blossom season from 6PM to 9PM! Next let’s look at Kema Sakuranomiya Park! Between the Miyakojima-ku and Kita-ku areas here in Osaka, we have a beautiful river. And in the spring, beautiful flowers blossom there. There are spots to sit and enjoy gazing at the flowers in the park. We specifically recommend sitting near the baseball grounds! And last but not least, the night view at the park is exquisite. The flowers are illuminated at night to make an other-worldy view. A beautiful sight to enjoy with a special someone. Late bloomers can be enjoyed until the middle of April! 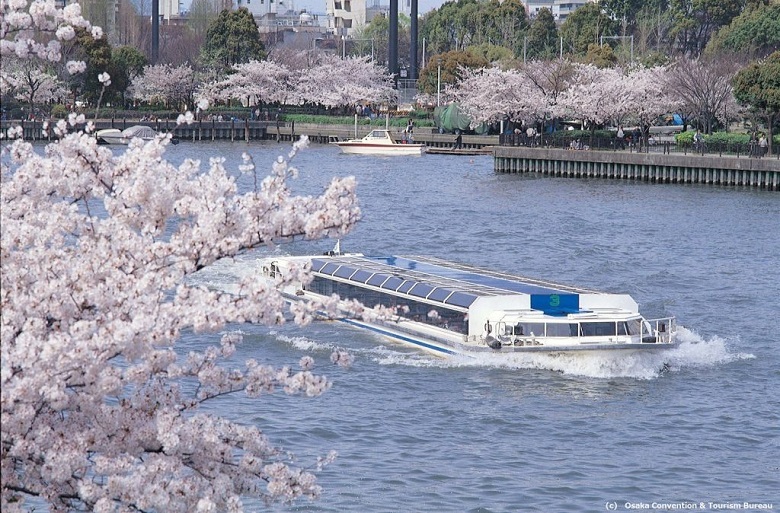 Here are a few spots that can be enjoyed at the end of the cherry blossom season! 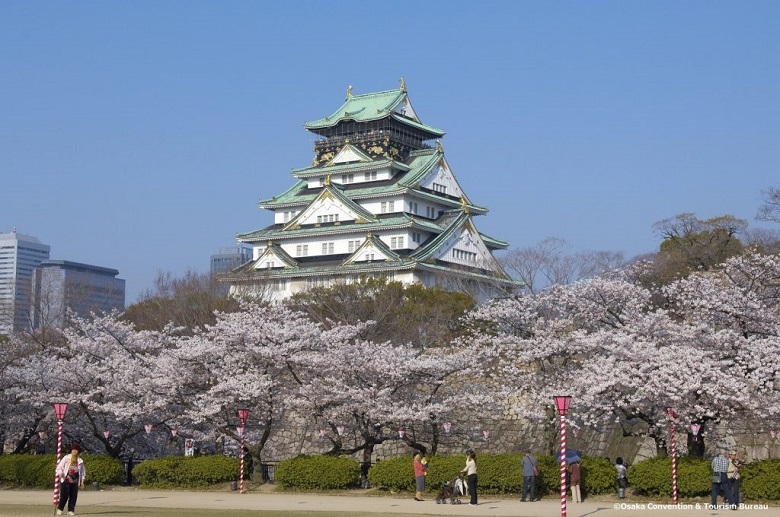 The Osaka Mint is a very famous and popular location for enjoying cherry blossom season and it’s only a short walk from Kema Sakuranomiya Park! It is said that there are over 300 types of cherry blossom trees in Japan. At The Osaka Mint, you can enjoy over 100 types of trees (approximately 4,800 trees)! 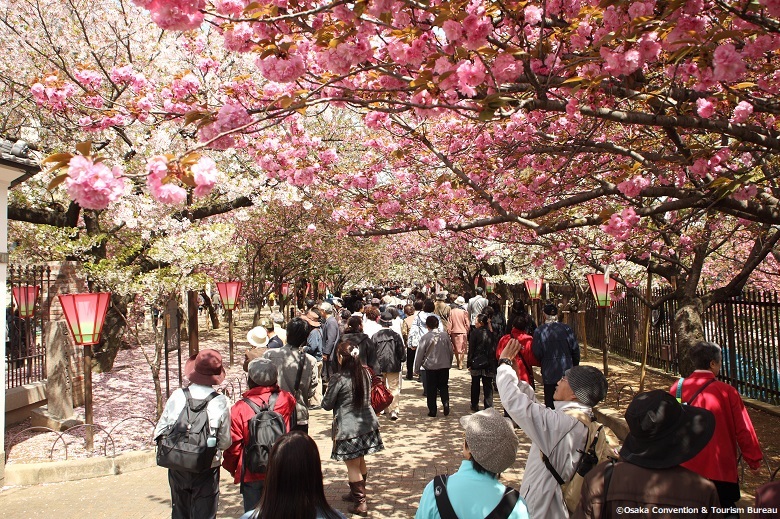 The spot is known for having the largest variety of cherry blossoms in all of Japan! Many of the cherry blossoms at the mint are late bloomers so it is a great spot for late in the season. During the peak of the flower’s blossoming, the mint holds a one week long event known as “The Tunnel of Cherry Blossoms”. Walking through the beautiful flowers as they sway in the breeze is a great experience. ※But do be aware that it can get quite crowded on the weekend! Also, please remember that “The Tunnel of Cherry Blossoms” is a tunnel! So no sitting or walking against the flow here. We recommend heading over to Kema Sakuranomiya Park after the tunnel to enjoy sitting and gazing at the flowers. The last of the flowers can be found from the middle of April to the start of May! When the rest of the flowers have fallen, these beautiful blossoms will come to say hello. Katsuoji Temple can be found in the middle of Mino Kokutei Kouen. The area is thought of as a sacred mountain, known for bringing good luck to those who visit. People come from all over the country to receive the luck. In the cherry blossom season you can enjoy the luxurious sight of blossoms spreading over 26 square meters. It’s a perfect spot for enjoy the flowers late in the season. HOTEL THE FLAG is in a perfect location to enjoy Osaka’s cherry blossoms! 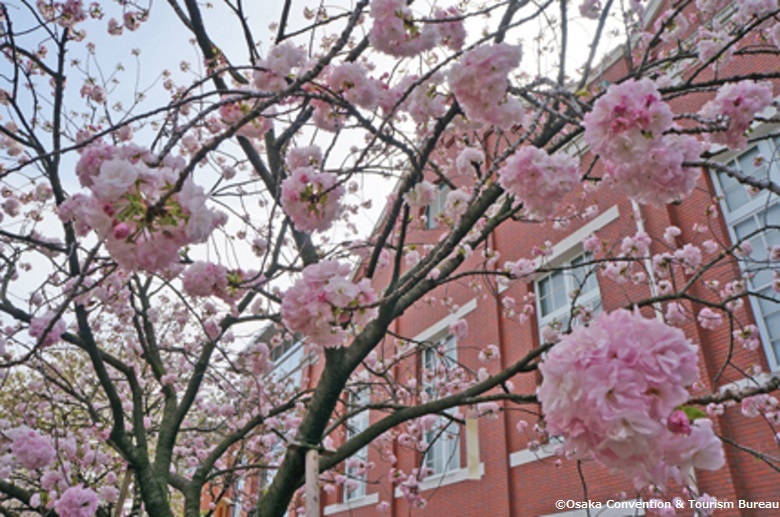 We introduced only a few of the many cherry blossom spots that can be enjoyed in our beautiful city. 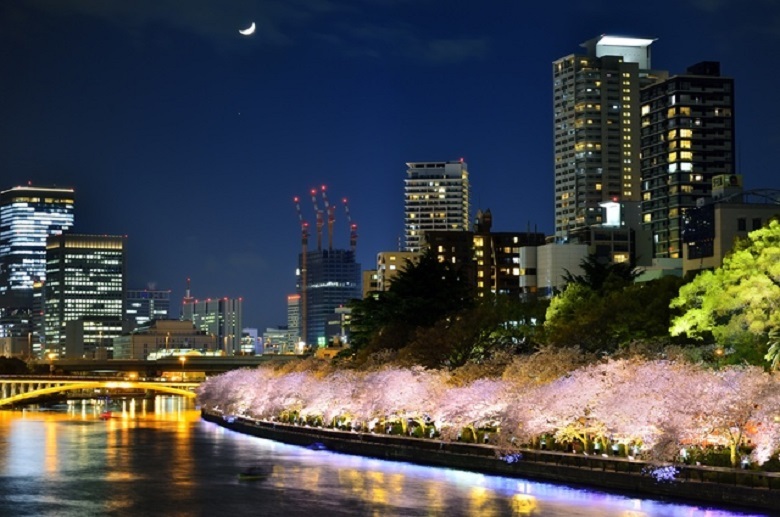 When you come to Osaka to enjoy the view, stay with us at HOTEL THE FLAG and let us share the joy of cherry blossoms with you. Located in the middle of bustling Shinsaibashi, HOTEL THE FLAG welcomes visitors from all over the country and all over the world. We promise to do our best to make the most of every guests stay. 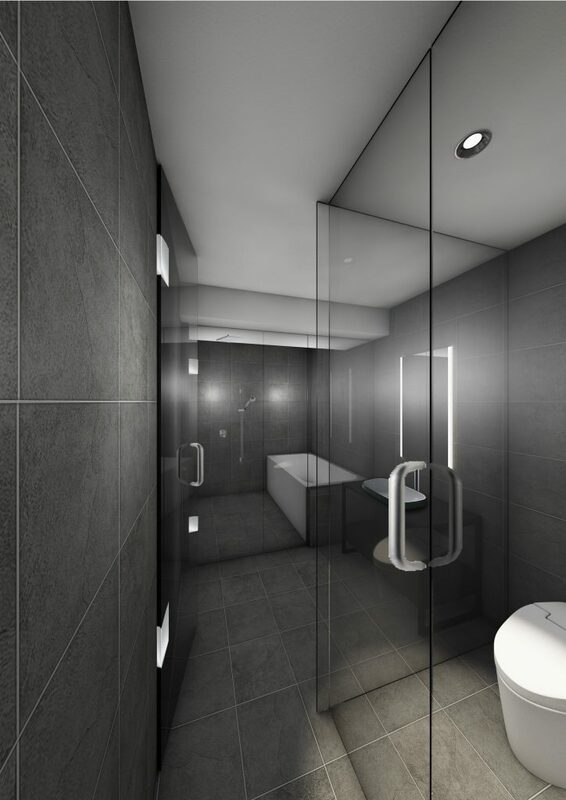 Relax in our comfy hotel rooms and shared spaces so that you have all the energy needed to enjoy your adventures! 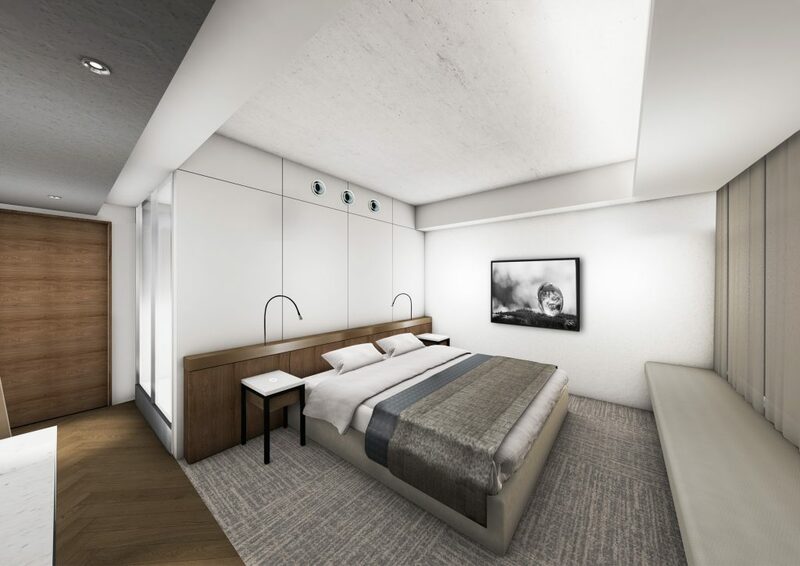 Reservations made through our Official Site guarantee the best rates! 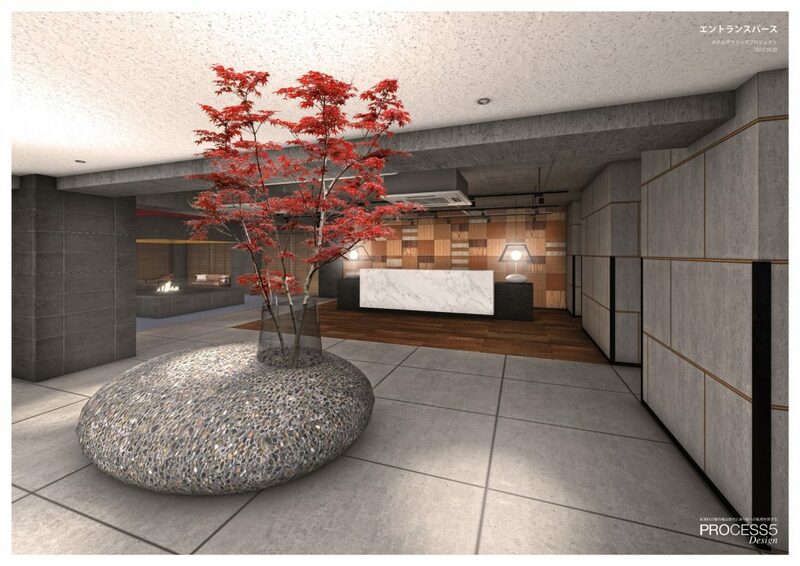 We paid close attention to all details when designing our reception and lounge to be welcoming to all our visitors. 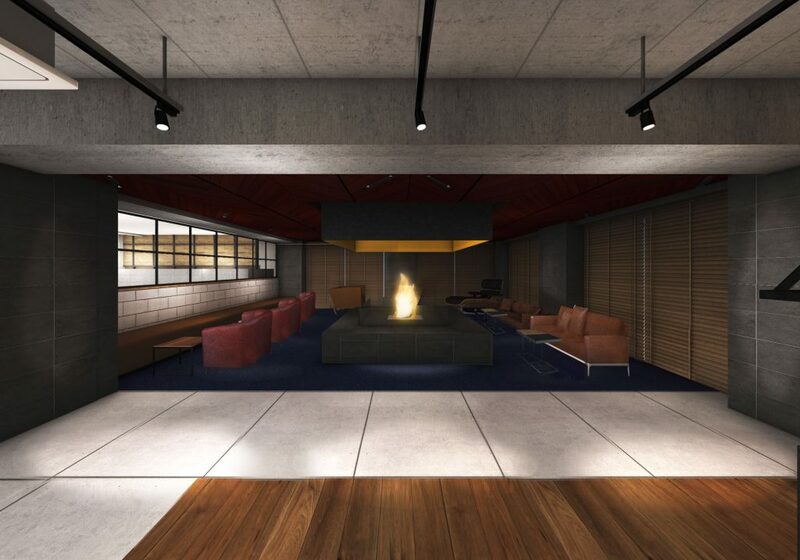 Take a break from the hustle and bustle of the city on a comfy couch in front of our warming fireplace. 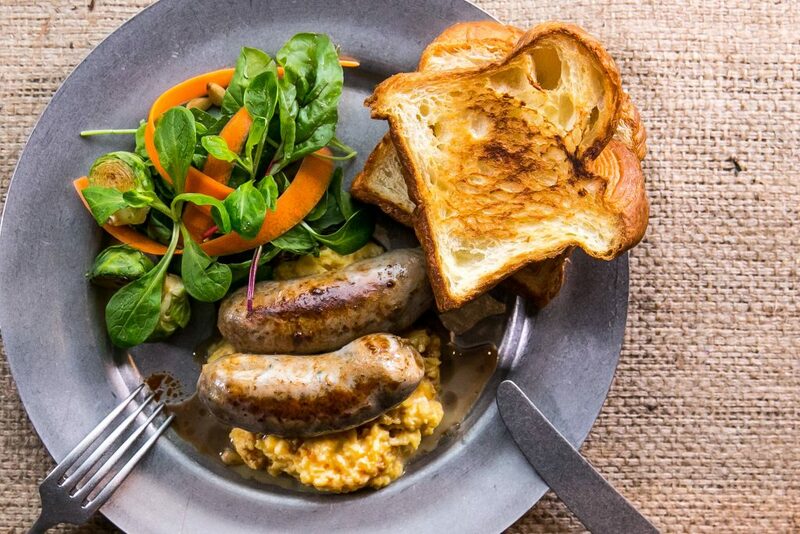 We provide the perfect breakfast for a perfect trip here at HOTEL THE FLAG. 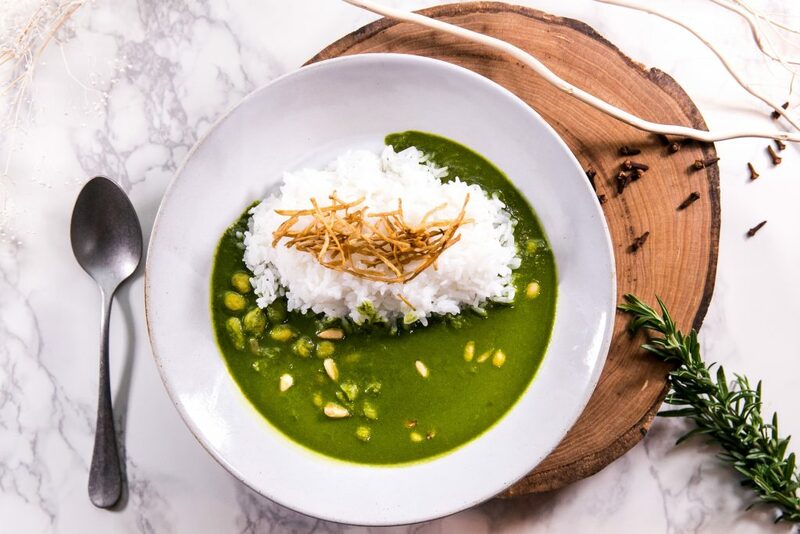 Our talented chefs have chosen the best ingredients and tableware for a buffet that can be enjoyed with all five senses. We are now accepting reservations from April 2018 through our official reservations page. Until the grand opening, we are only accepting internet reservations.